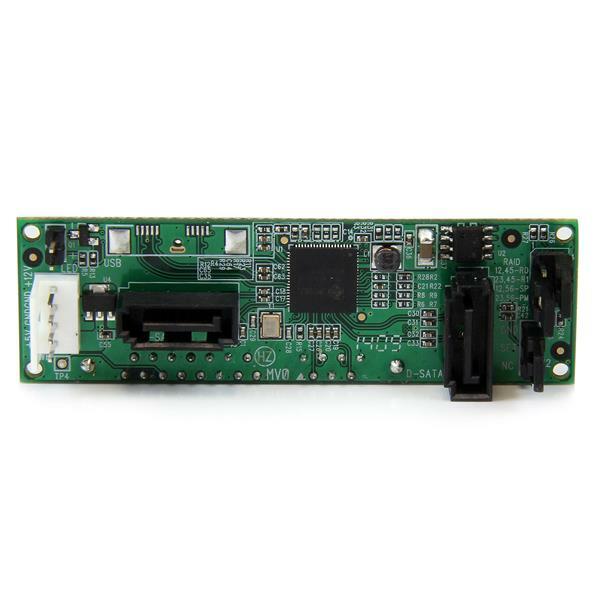 The S322SAT3R internal drive-mounted SATA RAID adapter lets you connect two SATA hard drives to a single SATA connector on your motherboard, and build a hardware RAID array. This versatile RAID adapter features a built-in hardware RAID controller, supporting JBOD, BIG, RAID 0, and RAID 1 -- to achieve greater drive capacity, secure data redundancy or improved system performance. 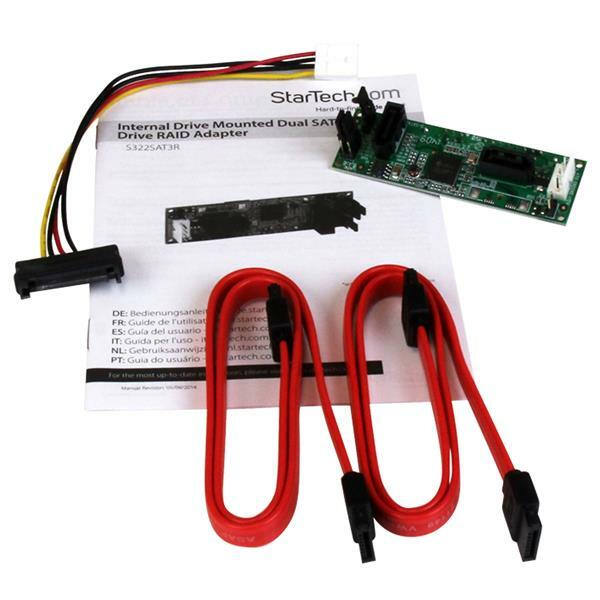 With two included SATA cables you'll have everything you need to ensure a hassle-free installation. 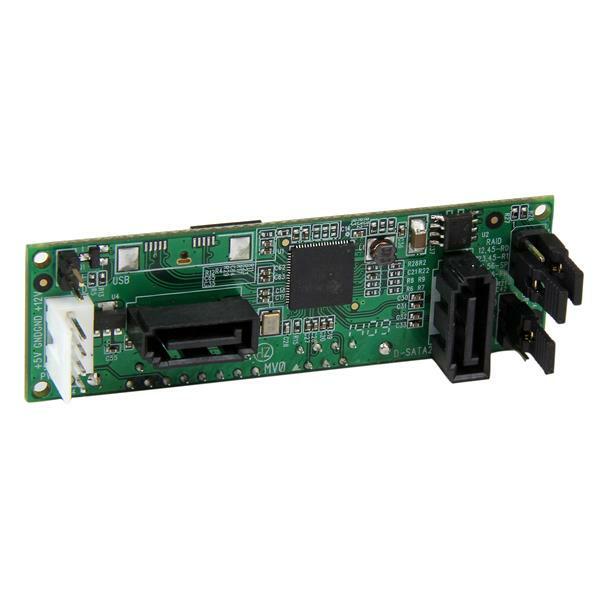 This plug-and-play HDD adapter is easy to install, mounting directly to your drive without any additional hardware or software installation. 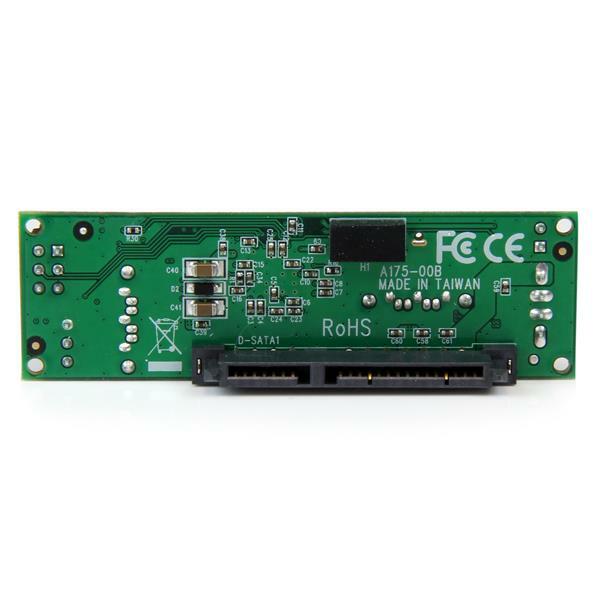 To maximize performance and utilize the full speed potential of your SATA III hard drives, this HDD RAID controller supports SATA III for transfer speeds up to 6 Gbps when paired with a compatible controller.